My boyfriend and I have wanted to take “our boys” on an RV vacation for years and we finally did the fall of 2018. We’ve traveled with the dogs many times before but being in RV was new for all of us. I’ve loved camping and being in the outdoors my whole life but Mark on the other hand, well the only way I could get him to go camping is if he had a big comfortable RV to sleep in every night. Needless to say we had a great first trip so I want to share with you all our successes and challenges of our planning. First thing first, we need to pick out some wheels. If you are a newbie like us, I recommend taking this step slow and be thorough. Sure, you can get a lot of information surfing the wonderful internet, but a better option is to take advantage of the winter RV and Camping Expos in your area. There is nothing like actually walking through, sitting in, and even laying in so many different sizes and models of RVs. Get a general idea because next, you’ll start to research what is available to rent. Here is a short list of stuff we started to consider at this point. This is not an exhaustive list but will get you thinking before you start searching. Minimum and Maximum length of RV you will be comfortable driving and living in. The layout of the RV, how will this work for your dog’s routines while on the road. Where will they eat, where will they sleep, where will they be while the RV is in motion? Amenities: wants and needs basing on the time of year and locations you will visit. Also, make a mental note of what you don’t want or need. Gas or diesel? Front wheel drive (puller) or rear wheel drive (pusher)? Our trip to the RV Expo was invaluable. There we decided we wanted an RV in the 30 foot range. But nothing longer than 40 feet. That just seemed excessive. And a longer RV would potentially limit our camp site selections. Since Chase is a large dog I made sure I had all the dimensions of his crate and dog bed jotted down so we could literately measure the interiors of the RVs to make sure they would work. Not just with the slides extended, but also closed. Because you need an idea of where your dogs will safely be while the RV is in motion. An onboard generator so we had the flexibility of “boondocking” or at a campground that might not offer electricity. Full-size commercial size refrigerator and freezer. We are raw, whole food feeders….enough said. This will also impact your human meal plan. Outdoor shower. This was not a “must have” but was a “nice to have” if a doggy bath was necessary. You know, as first-time RVers, you are going to have a lot of stuff to pack for your trip. We did. Maybe we over packed…..gasp, who would do that? Luckily most RVs in the size range we looked at had a large number of storage compartments outside the RV. We had more than enough room for all our stuff. Tip #2 Be flexible, be ready to adapt, and stop often. So you might say that creating the route could come before picking out an RV. I’m saying that because it might be a deciding factor for a couple things like whether you want a front or rear wheel drive transmission. If your route will be mostly flat then a front wheel drive gas engine will be fine. If you’ll be going into more mountainous terrain or wanting to pull a vehicle (check with your rental company on this) you might consider a diesel “pusher” for the added power. Next your route may also dictate the amenities that are necessary like AC and an onboard generator. If you are traveling in the summer months or to a more arid environment make sure you will be able to keep the RV cool for the dogs. With direct sun the RV will warm up very quickly. Also your route will dictate available campsite sites or RV parks. They may or may not offer electric service at your campsite. Time to do your route homework. 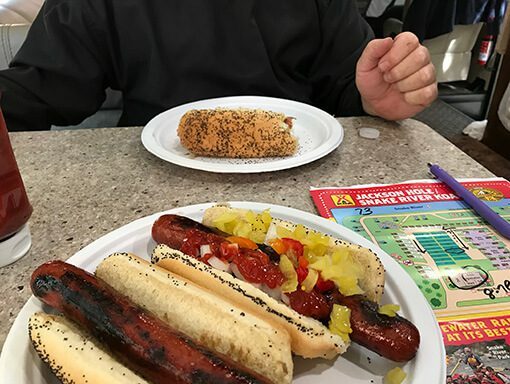 At first Mark wanted to just stay within Wisconsin for our maiden RV voyage. This was a good idea but since I don’t have a lot of vacation days I convinced him to “go west young man”. We can travel any time within the Wisconsin boarders by car. To figure out our route, I used the internet, our membership to AllTrails Pro, a really great app called Road Trip Planner, my past travel experience in some western states, recommendations from one of my favorite Facebook Groups “Hiking with Dogs” and advice from friends. We decided our main destinations would be Estes Park Colorado, Jackson Wyoming, and Custer South Dakota with whatever stops were necessary to get from point A-to-B. I calculated with a paper and pen if we traveled at X speed for 8 hrs a day = how far could we travel comfortably in a day. Then I created the route in the Road Trip Planner App. 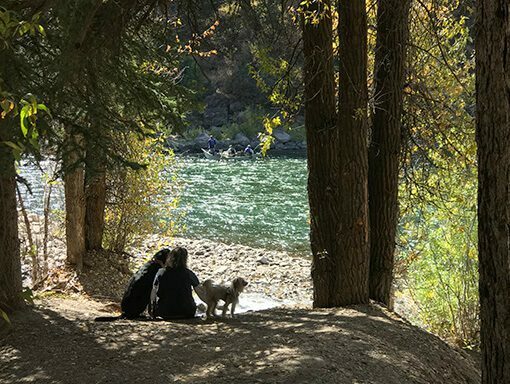 Based on that schedule, I researched campgrounds or RV parks at our three main destinations that were dog-friendly and appeared to have adequate “green space” if they had an online map or photos on their website. But guess what, it took us longer to get from one point to another each day which caused us to adapt our schedule on the fly. Thank gosh for our smartphones and all the travel app creators out there. Park Advisor Pro App was a life saver. 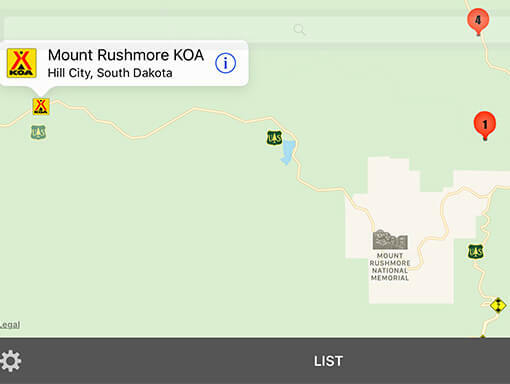 This app includes what exits have gas, campground location, description, and contact info, as well as cautions if there is low clearance. This is super important if you are in a bigger RV. Tip #3 Plan ahead. Popular campgrounds can fill up early. If you are going to be visiting one or possibly multiple main locations and staying for a couple days you’ll want to make some campground reservations ahead of time. Popular destinations can fill up fast even if you think you are traveling off-peak season. Read each campgrounds reservation and cancellation policies so you know the cutoff for making changes. Traveling with your dog is more and more common now and the RV community is full of dog owners. So the dog-friendly RV parks and campgrounds are plentiful. Don’t assume though and make sure you understand each campgrounds dog policies. You definitely want to abide by the quiet hours and be respectful about cleaning up after your dog. 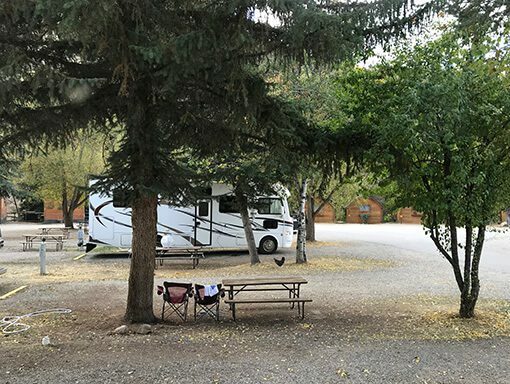 Because we had quite a few changes to our schedule, we were pleasantly surprised by the KOA franchise of RV campgrounds. Definitely not the KOAs I remember as a kid. Each one had a nice fenced in area for off-leash play and potty. And each of these locations were CLEAN. They even would have safe little obstacles to play around. One of Chase’s favorite RV parks was in Estes Park, CO. This wasn’t a KOA but their fenced dog run was so nice and large. Chase would pull me down that way in anticipation of the fun. Mark and I could get him running back and forth between the two of us playing a little recall game. AJ’s favorite campground seemed to be the one in Jackson, WY. This was a beautiful KOA, actually the 2018 Presidential Award Winner, and was bordered by the Snake River. There were lots of great places to roam, sniff and pee. It was also easy to plan for the dogs because I weigh their food every day. Did the same thing for them. I knew how many meals I had to plan and calculated the amount of whole ground animal Chase would need. I cook for AJ so I made his meals ahead of time and froze individual portions. For their suppliments, I used small condiment cups with hinged lids to portion them out. Now we are getting into the good stuff of this post. I think I wrote our dog’s packing list and added to it a million times before we actually left. My life last year was kind of moving at light speed so to help set myself up for success , when we got closer to our vacation date I put together a couple big boxes (thank you Chewy.com) so that when I thought of something I could just put it in one of the boxes…..touch it once and done. If I needed that item before vacation I just used it and returned it to the box. So what kinds of things did we bring along for the dogs to help with their routines on the road? Soggy doggy rugs: We love these rugs and have three of them in our house. They are so large, soft, absorbent, and anti-skid. They really came in handy to add something “normal” to the living space in the RV. Make the floor non-slip. And trap all the gravel, grass, or wet paws (and shoes) coming into the RV. A backpack/ carrier for AJ: He has advanced arthritis of the left elbow and is 12 yrs old. Also, we would be going up in elevation so we didn’t know how much energy little man would have if we were trekking around for the day. This was perfect for short jaunts but I doubt this would be comfortable for the human on a 3-mile hike. AJ’s travel soft crate: An unrestrained dog in a car is a speeding bullet if you end up in an accident. Enough said. Visibility vests and jackets: we’d be out potting the dogs in the black of night and who knows how well lit the campgrounds would be. These are also great to use for hiking during hunting season. Grooming kit: brush, scissors, dremel, shampoo and Soggy Doggy towels. Although we did not need to give any bathes thank gosh we were not so lucky with burrs. In one campground the only green space was an old pasture full of prickly burrs that AJ ended up discovering. ouch! Dog beds and blankets: We love Molly Mutt dog bed covers that you can stuff with old tshirts or whatever you want. And I make my own blankets simply by sewing two layers of fleece or this time a layer of fleece and sherpa fabric. Harness and leashes: neither of the dogs was ever allowed outside of the RV without both on. The only exception is when we were in a fenced in dog run area. Medial record binders. Yes, I’m that dog mom. I don’t even keep my own medical records so organized. Each of our dogs has their own three-ring binder where I keep all their medical records including their latest titer results and copies of Chase’s Rabies vaccine exemption. First Aid Kit: We purchased one for us humans and I opted for a DIY First Aid kit for the dogs. Ours is a red plastic toolbox. It contains things like herbal tinctures, homeopathic remedies, vet wrap, paw balm, and flower essences to name a few things. This is always a work in progress and I still have plenty on my wish list to add to it. When you are on the road you are away from everything familiar. That is part of the excitement but also part of the risk You might be traveling to a location where you are not familiar with the fauna and other hazardous critters in the environment so this is definitely not the moment to let your pup roam off leash on a hike. Take extra precaution when traveling with your dogs. I’m a worry wart by nature. As I mentioned in the packing list above, we had a first aid kit for both the humans and the dogs. The next step is to also be aware and do your research so you know what major cities on your route have the hospitals and emergency veterinarian clinics. Make sure you have your insurance cards, prescription cards, and your dog’s health information. Also it is a good idea to understand your cell phone coverage and data plans before leaving on your trip. In case of an emergency, your cell phone will be an invaluable tool that could get you out of a jam. I’ll be honest we never imaged the scenario “what if something tragic happened to us and the dogs were in the RV”. Here is a great blog post I found regarding some valuable ideas on this topic and how to be prepared. 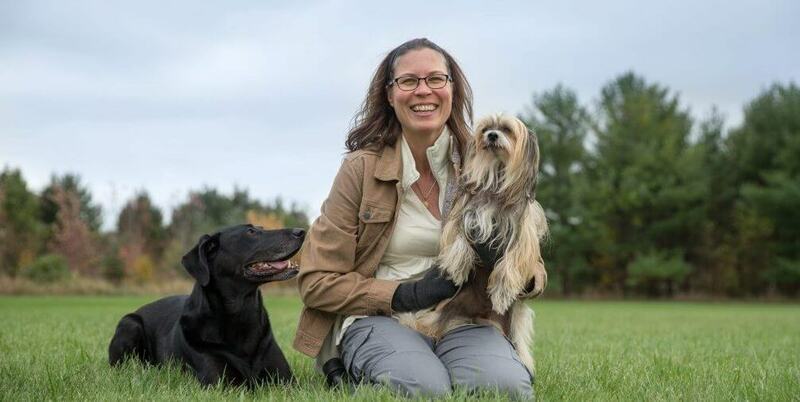 How would your pets be found and cared for if something tragic happened to you? We will definitely follow these recommendations next time we go RVing with the dogs. In conclusion this was an amazing trip for us and I hope these tips will help you plan your first RV trip. Do more with your dog and have fun. Please leave a comment with any tips or stories from your first trip of your own. We will definitely be doing this again so stay tuned for updates. Who knows, maybe we’ll be full time RVers someday.